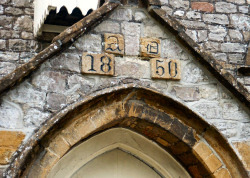 The external appearance of Winsham School building has not changed very much since it was built in 1850. Everything else has been subject to enormous change. Primary and Secondary Education until age 18 is free to all, and the improved general health and well-being of the children has improved enormously. Teaching practises have also changed, as outlined in the section in Winsham Web Museum describing education in the 19 th Century, and evidenced in the School logs. Access to books, paper, drawing materials and, of course, the ‘digital revolution’ with its access to computers, interactive white boards have replaced the blackboard and slate, and has meant that a student's day at school is very different from when the school was built. The modern day pictures below will give an idea of the many ways in which school life has changed for Winsham children over the last one hundred and fifty years. In 1870, when education for children to the age of eleven became law most children started work at an age when to-day’s children are just about to start secondary education, with many eventually moving into further education. Before 1870 some children received no education at all and for most it was very rudimentary. 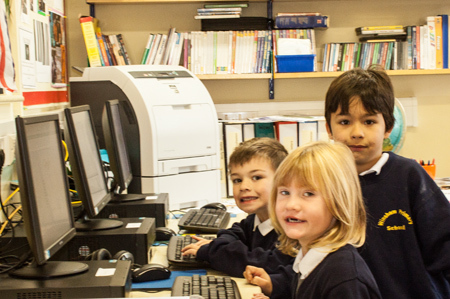 Open Days are part of school life, when a it throws open its secure doors to allow parents , Winsham residents and others to see how the school operates on a day-to-day basis. Compared with previous decades. it bristles with electronic aids to learning. Of course the conventional lessons are also taught, and Ofsted inspections are carried out on a regular basis to ensure high standards are maintained. Winsham School regularly passes these inspections with good results. Love of the outdoors and an interest in physical fitness and sport is enthusiastically taught. 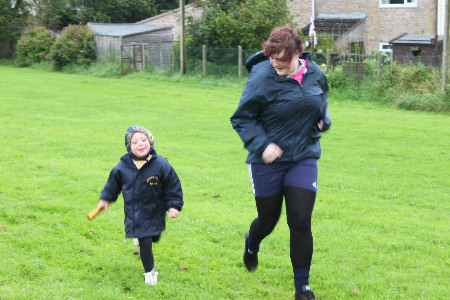 With the London Olympics in mind a relay Marathon was run involving all the children. Starting at the Lower Rec. the greater part was run around the perimeter of the Upper Rec., where the facilities of the Sports and Social Club were made available to the participants, Providing a dry place to rest, and hot drinks to revive. The whole event took some three hours. Every Easter the children design, make or bring Easter Hats and Bonnets and troop up to the Sheltered Community Housing development in Davies Close wearing them. They greatly enjoy showing off their efforts to the older people who live there, as much as the Davies Close residents enjoy having them visit. 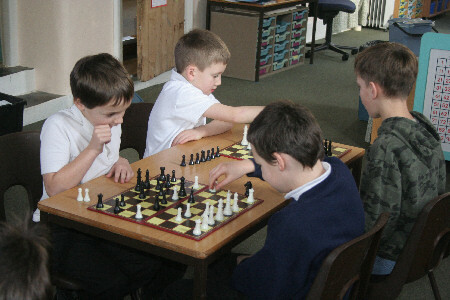 Learning to play Chess has been part of the school's learning options since 2008. During the Autumn and Spring Terms children use their lunch break, after they have eaten to learn from volunteer helpers, the moves and strategies of this absorbing game that evolved over a thousand years ago. No signs of a future 'Grand Master' emerging yet, but it is early days. 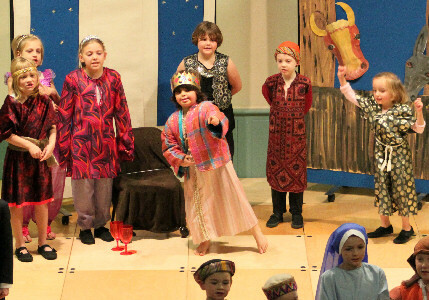 Every year the the staff and pupils present a Nativity play at Christmas towards the end the school term. For the first time it was held in the Jubilee Hall, to ensure that there was sufficient space for all who wished to see it to attend. It was an enormous success, delighting the audience of over seventy people. 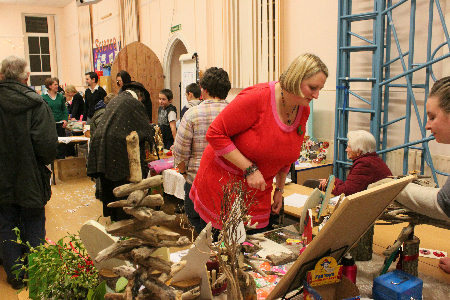 After the play, while the children changed back into their normal clothes back at the school, parents and visitors were treated with mince pies and mulled wine, served by volunteers. 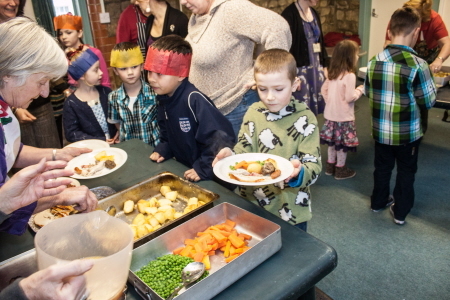 Each year just before Christmas, the School Governors, and helpers from The School Parents and Friends Association cook and serve a Christmas Lunch for the children and staff. Held at the Jubilee Hall, because of its size and cooking facilities, after the meal, the tables are cleared away, and the fun and games begin! Although the main operating costs are met from Local Authority funding, a school is always in need of additional funds to provide additional requirements, whether it is for a Chess set, or meet the cost of the food for the Christmas lunch (and sometimes much bigger projects). Winsham PFA does an essential job by providing volunteer helpers and by raising funds. The picture above was taken at one of their fund raising events. 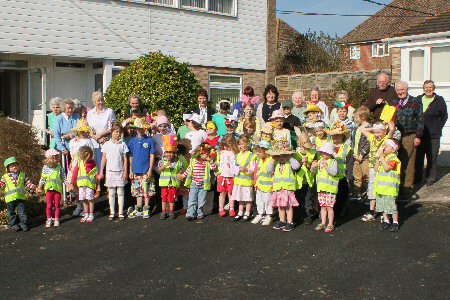 The Queen visited Crewkerne as part of her journey around the country as part of the Diamond Jubilee Celebrations. 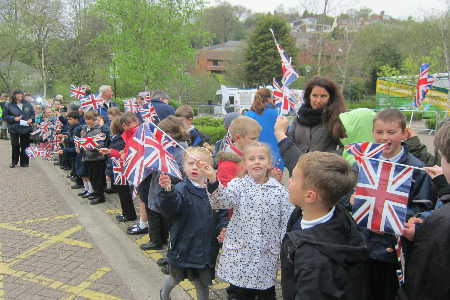 Children from the local Schools turned out in their hundreds to welcome her, and Winsham School was there in force. They had to assemble early to get onto the coach that took them the six miles to the centre of the town, but were rewarded with a good view as she passed.